Successfully Added Car Battery Tester - 5 LED Light Display - 10pcs Lot to your Shopping Cart. 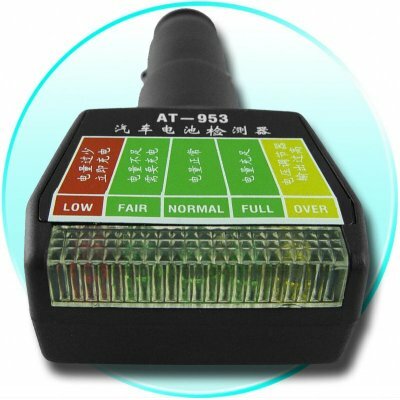 If you are in need of a quick and easy way to test your Cars battery, this wholesale priced Car Battery Tester with an easy to understand 5 LED Light display is just what you need. You simply need to plug it in to any 12V Car Cigarette Lighter, and it will read the level of the charge in the battery. This is an inexpensive but useful Car Accessory for anyone, and is available in a 10 Piece Wholesale lot so we can offer you the very best price and shipping rate avaiable.